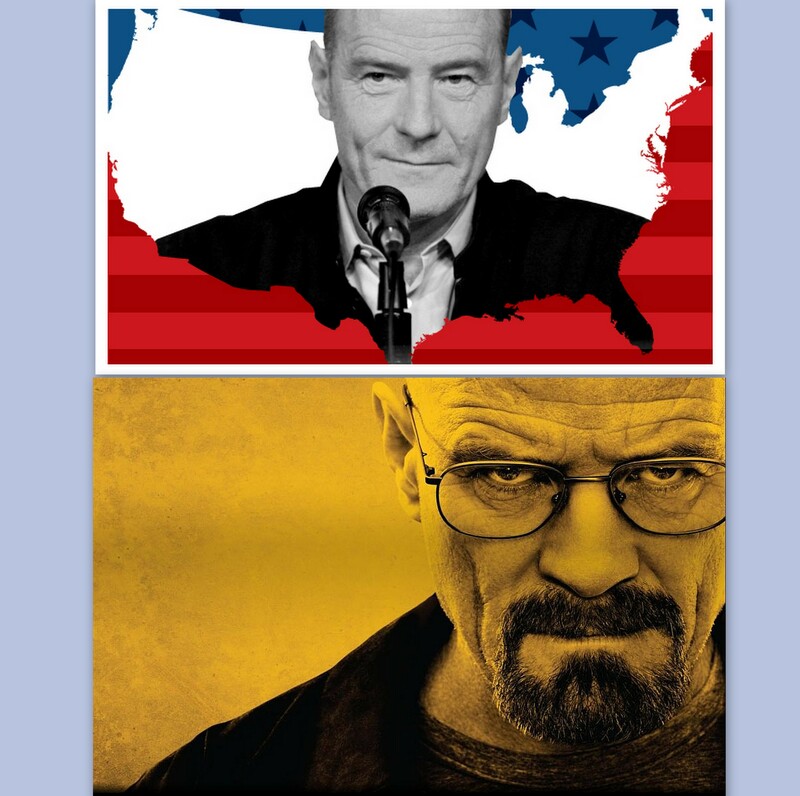 Walter White & LBJ: Personality Plus, To What End? Bryan Cranston's Tour de Force in ART's "All the Way"
Bryan Cranston goes from playing Walter White to President Lyndon Johnson in ART production of "All the Way". 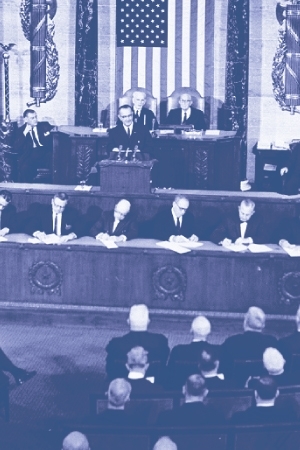 LBJ State of the Union Address, January 1964 in which he unveils a "War on Poverty"
(LBJ was referring to Washington’s hardball politics and the limited clout of his running mate, Hubert H. Humphrey—or anyone else unwilling to pull out all stops to get a bill passed.) Please continue reading here. While Breaking Bad fans wait for the last two episodes with their hands over their eyes, Bryan Cranston has immersed himself in the role of Lyndon B. Johnson during a pivotal time in U.S. history. Marcy Murninghan caught the 3rd performance of All the Way, now playing at the American Repertory Theater in Cambridge, Massachusetts. In it, Cranston portrays LBJ's ascendance to the presidency, from the assissination of John F. Kennedy to the 1964 Democratic Convention in Atlantic City, and his election in November. The vortex of change--the Civil Rights movement, the Vietnam War, the breakaway South from the Democratic Party, the rise of youth activism that's impatient with change--form a backdrop to the use of power, and where morality fits--or doesn't. Written by Robert Schenkkan and directed by Bill Rauch, All the Way features an exceptional cast portraying many of those engaged in the struggle for power and justice--Rev. Martin Luther King, Jr., Hubert Humphrey, Roy Wilkins, Rev. Ralph Abernathy, Bob Moses, Fannie Lou Hamer, Stokely Carmichael, Stanley Levison, Walter Reuther--along with those concerned more about power: J. Edgar Hoover, Sen. Richard Russell, Gov. George Wallace, Joseph Alsop. Given current fissures in our society, especially this summer's Supreme Court decision striking down part of the 1965 Voting Rights Act, the metathemes in All the Way remain fresh. As with Breaking Bad's Walter White, we're reminded that whatever our good intentions, in the end we remain flawed--and powerless. Doing good doesn't, ipso facto, make us good. Indeed, it may get in the way of achieving our goals. That's something sustainability practitioners and change agents must keep in mind.